I am a teacher. i like teaching English. 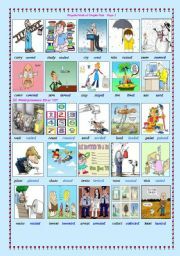 Some words pronounce ED as ¡°T¡±,some words pronounce ED as ¡°D¡±,and other words pronounce ED as ¡°IT¡±.I hope it´s be useful. Hope it´s useful for you! i will make a nicer one. 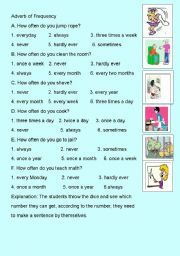 How often do you....? 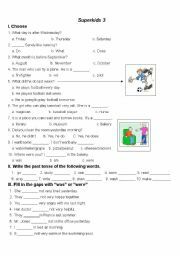 Help the students understand the frequency words better. 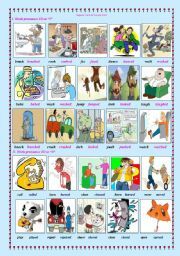 It´s an activity to practice frequency words. I hope it´s helpful. According to the pictures and ask their name, phone number, height and weight. I hope it´s useful. Focus on "How are you? How is she/he? How are they? 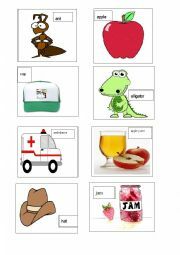 The young learners can learn easily according to the picture. I hope this exam will be useful for those who also teach superkids teachers. Thanks. It´s easy to ask students to find what does she/or do on Monday? I hope you like it. I have practiced these words in my class. Practice Uncountalbe Noun (Remedied part one): How much coffee is there? There is ..
Last time i made a mistake because of pictures. I remedied the part two. i hope it will be useful. Thanks. 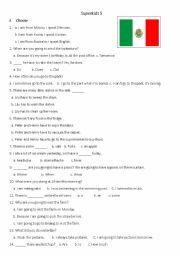 This is the second part of future tense wh questions. i hope you like it! Practice Uncountalbe Noun: How much coffee is there? There is ..
i hope the students can practice there is....with uncountalbe noun. I hope you like it! I learn a lot from this website. I hope i can do a good job just as other friends do. Thanks! Why did you do sth...? Each picture asks a question: example: why did you wash your clothes? i wahsed my clothes because my clothes was dirty.